So, I took advantage of a contest to create a franken polish! Yay! I told myself as soon as she posts up the photos for the contest, I will post up my entry on my blog and what I did with it.. Without further ado.. I present.. It photographed somewhat 'blah', but there was actually quite a bit of shimmer to this gem.. The bottle shot sort of shows more of the sparkly goodness.. 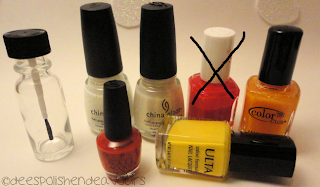 But, you all know I cannot just wear a polish.. I had to jazz it up some.. I give you.. SPARKLING Oranganade.. Yeah.. I actually think I would have gotten the results out of the franken that I wanted if I would have put Hidden Treasure in to the mix. Ahh well, live and learn!! To make it 'Sparkling Oranganade', I used: Oranganade Franken, SH Hidden Treasure & CG White Out, as well as a dotting tool (which was provided to me by Born Pretty) and my newly acquired fimo canes (the lemons, to be exact). I figured it would be a cartoony effect of soda pop.. With some lemons tossed in.. Yay? Nay? Remember to head over to More Nail Polish and vote! Even if it isn't for me - there are some really amazing entries that you should all scope out!! I hope everyone is having a great weekend! I better scuttle off to bed before work.. Bleh! Goodnight!! Zara - Thank you! I am finally getting inspiration from one of my favourite things: movies! 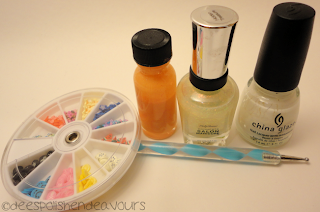 The Nail Buff - Yay! Thankies!! Beautiful! Gorgeous colour. :) Following. AH! 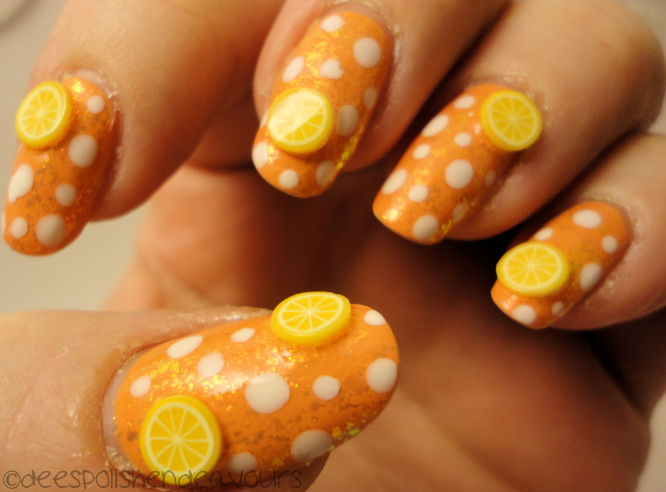 I'm obsessed with this manicure! Not only is the franken gorgeous, but the nail art you did to go with it makes it even better! Really pretty shade of orange! 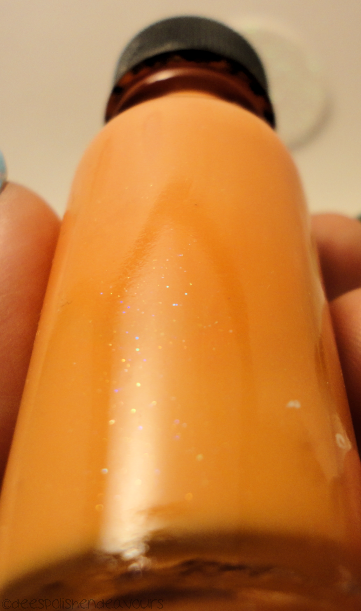 I just did an orange franken too today (inspired by the contest you took part in), with some holo.